Andrew James Fenwick-Green was in London recently and got a black cab back to the hotel where he was staying, they got talking about all the great things the blacks cabs do for veterans on Remembrance Sunday and why Andrew was in London. When they got back to hotel the meter said £19:00 so Andrew gave him a 20 pound note, “this ones on me ” says the cabbie, Andrew says no I can’t except that I’ve had one free ride today already so please take it back so you can give another veteran a free ride, he refused point blank. Ok says Andrew how about I donate the £20 to a military charity I’m involved in back in Rotherham called MCVC so what does he say to that … OK I’ll match it and gives him another £20. Andrew like us all were gobsmacked by the generosity of the cabbie and Andrew gave him the details on how to get on to the website and Facebook So if you have managed to see this Black cab driver ( wish I knew your name) A MASSIVE THANK YOU FROM THE ROTHERHAM MCVC. 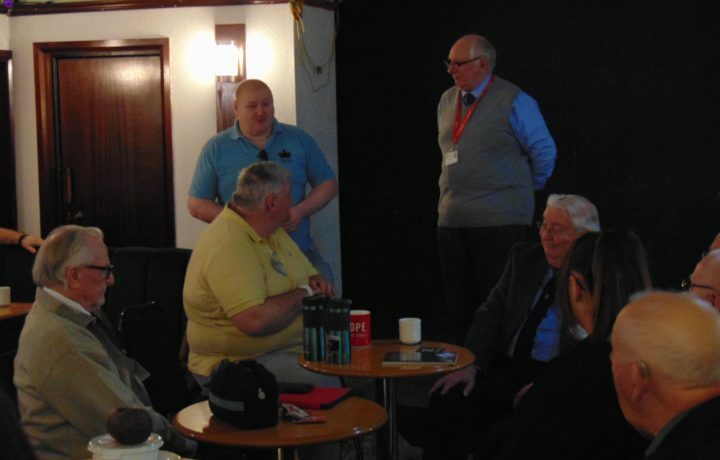 The picture is Andrew giving the £40 to Ron Moffett at the MCVC coffee morning today 29th March 2019.